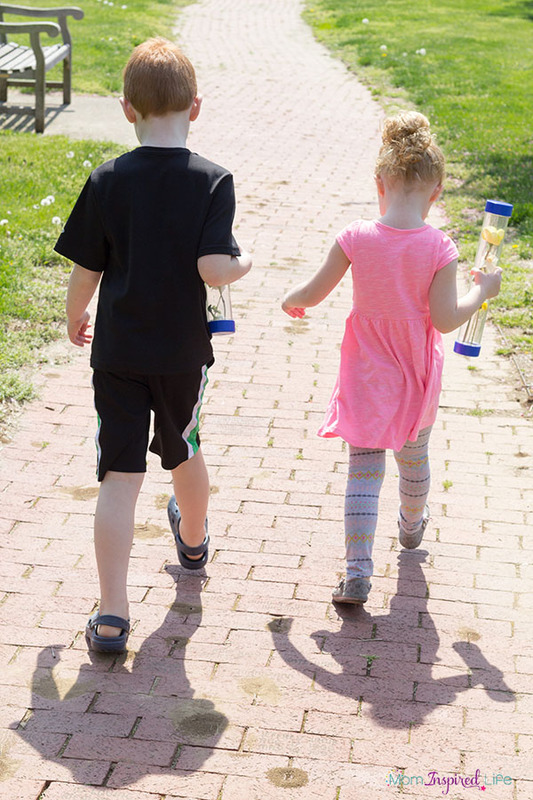 These nature walk discovery bottles are a great way to get kids outside and exploring nature. Then bring the discovery bottles inside and investigate! My kids love any chance they get to go on a nature walk. 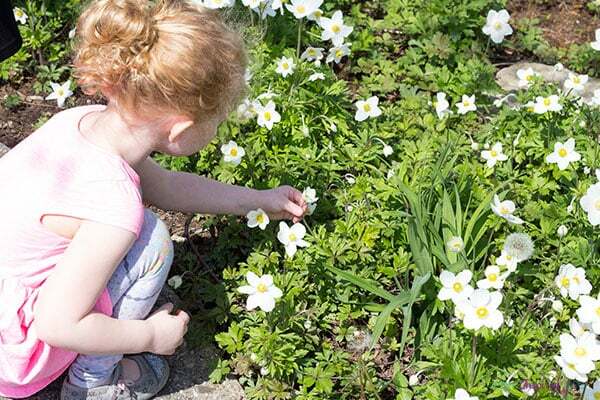 We go to new parks or new areas in our neighborhood and just explore and see what we can find. 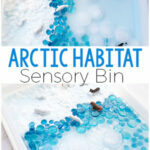 I don’t know why we never thought to bring along sensory bottles, but they are such an awesome addition to a nature walk. 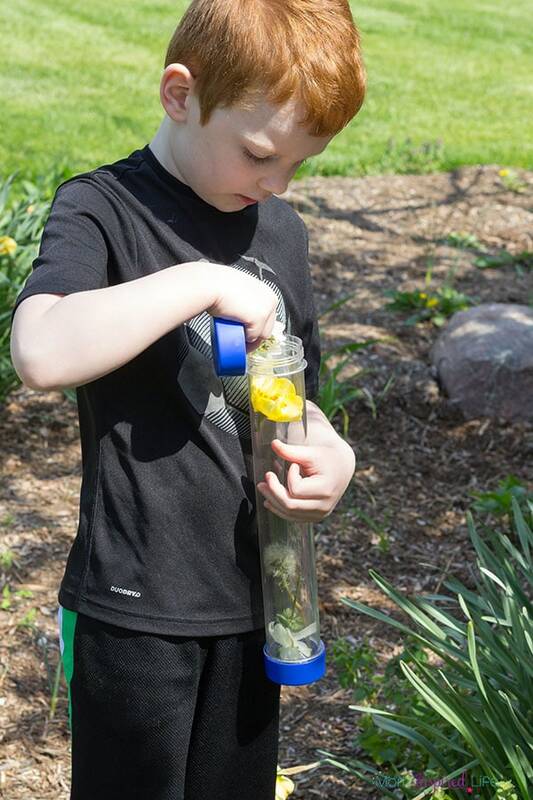 I especially love these Make-Your-Own Discovery Tubes from Lakeshore Learning! They make it so easy to make a discovery bottle. 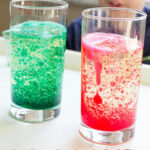 This science activity is super easy to do with kids. There is absolutely no set up required! 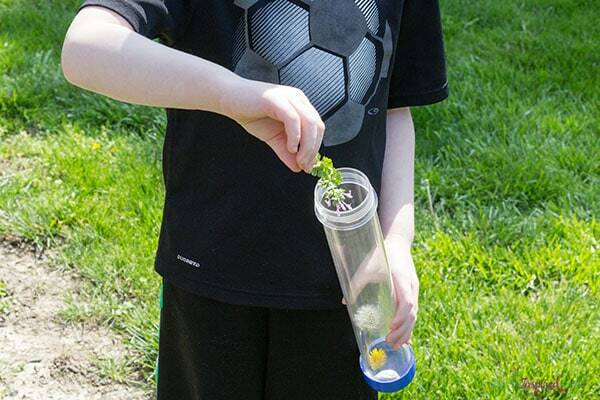 If you are a classroom teacher and you don’t have enough discovery tubes for each child to have their own, you can still do this. Just put the kids in groups of 3-4 and let them work on filling the tube together. This is also a fantastic way to work on team work and cooperation. 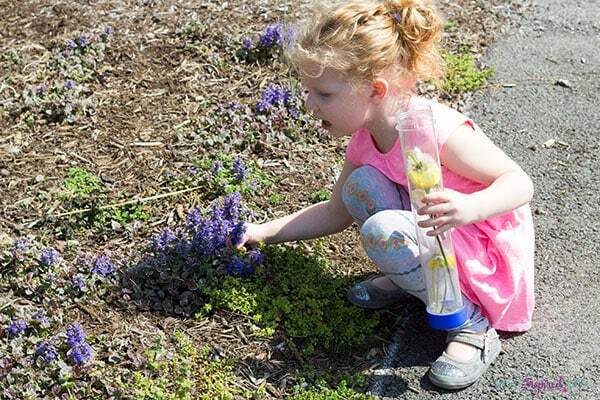 One gorgeous spring day, we decided to go to a new park with gardens and a nature trail. We knew this would be a great time to bring along the discovery bottles and see what we could collect. 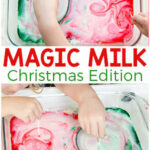 The kids absolutely loved it! They looked high and low for all kinds of neat treasures to add to their discovery tubes. They collected rocks, all kinds of flowers and even some sticks. 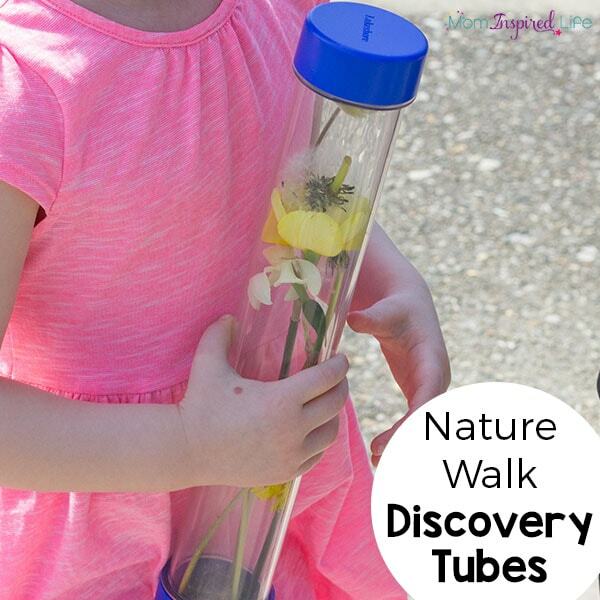 Since they always want to keep all kinds of treasures when we go on a nature walk, bringing the discovery tubes along was perfect! They could easily add any items they wanted to the bottle and when we were done we just screwed the top on. 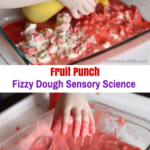 Now they were amazing sensory bottles that we could look at and investigate. The kids were so proud of their finds and were very happy that keep them on display in our house for days to come! 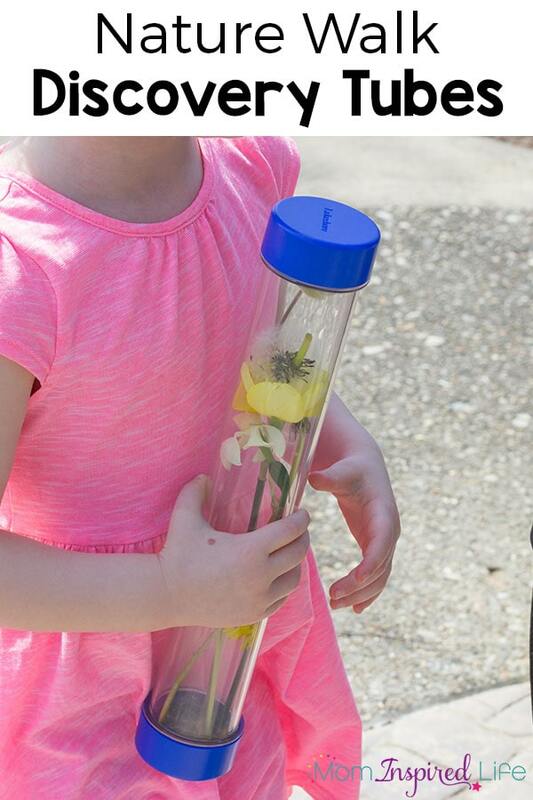 We will definitely be making more nature walk discovery bottles! When we got back home we cooled off with some water play! 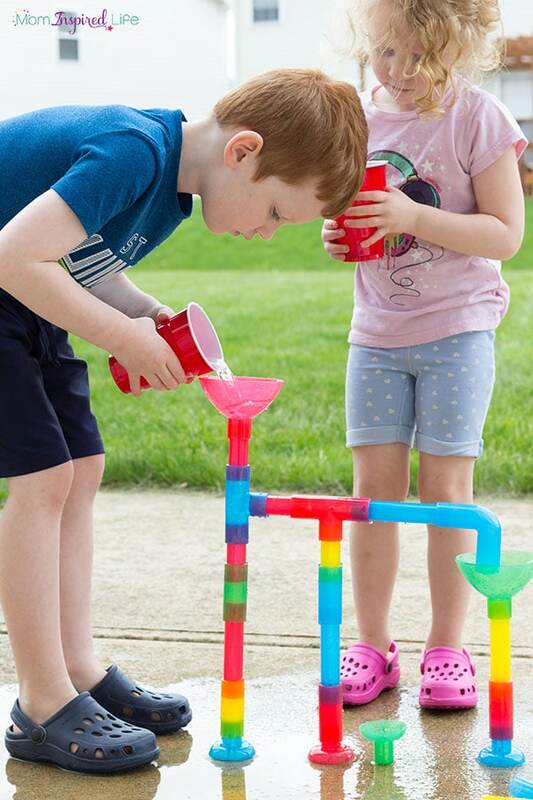 These Waterway Pipe Builders are so much fun! 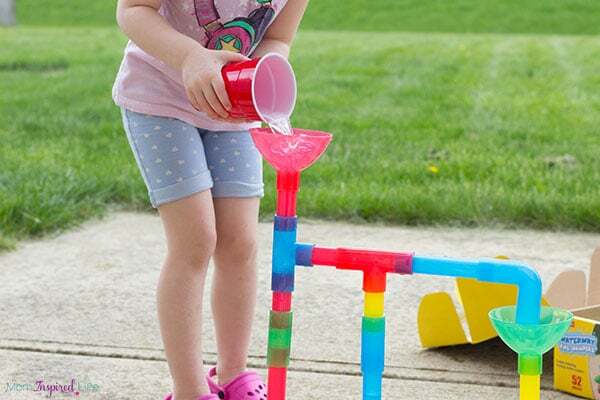 My kids love building them up and then pouring water through them. It was only fitting that we topped off the afternoon with a fun picnic in the grass. This Picnic Time Playset is so cute and perfect for young kids. 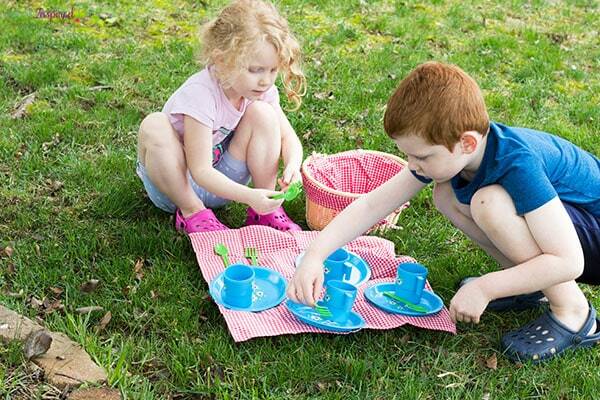 My kids love using the set to have pretend picnics with their toys and stuffed animals. 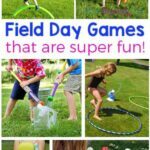 All of these activities are perfect for spring and summer! As you can tell, we really love Lakeshore Learning products. 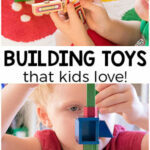 Their toys, games and materials are innovative and built by teachers. 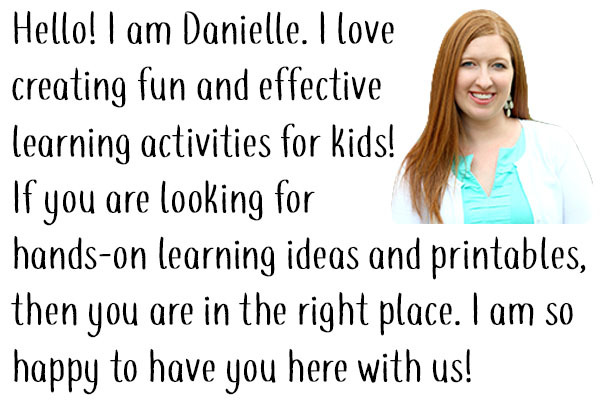 They definitely make learning fun! I am happy to share this exclusive 20% off coupon code with you so that you can check out their amazing products yourself. Enjoy!